The International Trade Center, a joint agency of the World Trade Organization and the United Nations, proclaimed its support of legal wildlife trade in a Wall Street Journal op-ed on the day before World Wildlife Day. More specifically, executive director Arancha González refers to a "legal trade that is sustainably managed and benefits the poor rural communities where many threatened species are found." Believing in the intrinsic value of living animals, we at the International Fund for Animal Welfare (IFAW) take a few issues with her statements and her misinformed reference to "poor rural communities" benefitting from trade. The reality is that wildlife trade often leads to commercial overexploitation of our world's precious fauna. First of all, what defines "sustainable management"? Many populations of the animals we seek to protect are dwindling as a result of climate change, habitat loss and human conflict. Do we set management sustainability according to these downward trends, or do we seek to mitigate those trends with more conservative management? Do we leave it up to an agency that has the word "trade" in its name? When did we cede all ethical decision making to economic and trade organizations? The rebound of the vicuna is a weak example. For years, the animal was poached for its coat. Then, people found that one could shear the hair of the animal to produce a fine wool yarn. Wish that worked for every commercially exploited species. You cannot garner pelts, skins, claws, et cetera without killing the host animal. Sure, you can extract bile from a bear's gall bladder without killing the animal, but the bear inevitably lives its life in horrific conditions as a harvested creature. Some believe that we could harvest elephant tusks and rhino horns from living creatures, but the viability and ethics of that are quite suspect. Can we have a better example of a well-managed and sustainable wildlife trade success than the vicuna, Ms. González? The economics are shaky as well. Professor Alejandro Nadal of the Centre of Economic Studies at El Colegio de Mexico told columnist Ian Michler in South Africa's Daily Maverick that legalizing markets as a solution to wildlife poaching "with the aid of pseudo-economic analysis should not happen without a serious debate. I am not anti-trade, I am just anti-nonsense." "Wholesale opposition to legal trade in wildlife is mostly found in rich countries, which ignore the high financial and social costs to already vulnerable societies in enforcing trade bans." IFAW is one conservation group that does not ignore the livelihoods dynamic in costs of bans. We are sensitive to the needs of communities and work for solutions that benefit both animals and people. Bans are ideally put into place only after much study of their effects on populations - both animal and human. Apparently, we "ignore the potential benefits of taxing the wildlife trade." While taxes ideally fund help to a community, the truth is the money inevitably goes to the enforcement of laws to combat illegal operations, marred by corruption and violence. It's the same argument that is being made by some to end the illegal drug trade. Legalize it, some say, and all the problems miraculously go away ... and we have a load of tax money to enjoy. We all know that isn't true. Is taxation the only way to promote economic development? Here at IFAW we'd rather help set up a fish farm in Malawi's Liwonde National Park or green livelihood alternatives like weaving fabric in the villages surrounding Manas National Park. We're also working in partnerships to help former poachers become eco-rangers and encouraging responsible eco-tourism which will bring long-term community benefits. Communities can thrive and protect individual animals, at the same time. 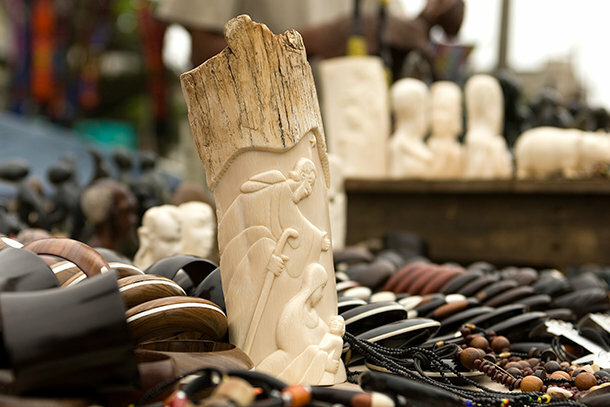 The money on wildlife trade "would otherwise go to poachers. Isn't it better to have it go to the poor?" González posits. Would it go to the poor? It would go to the exporters, as most of these wildlife products are in demand in other countries. We have shown that local African communities do not benefit from business exploiting their natural resources. A study last year titled "The $200 Million Question," authored by Economists at Large and commissioned in part by IFAW, concluded that said economies barely benefit from the big game trophy hunting (usually by wealthy foreigners) that people claim boosts local economies. Speaking of trophy hunting, don't even try to make the claim that that black rhino whom the Dallas Safari Club is hot to gun down is "old and sick." All the Namibian government requires is that that rhino be beyond breeding age. The last time we checked, plenty of animals make significant contributions to their family and larger communities and even when they are beyond the breeding age. Humans, of all species, should appreciate this. "It may not be possible to stop the wildlife trade - the world-wide demand for these animals and the products they provide is just too strong." It is too strong, and we are doing whatever we can - in places like China for instance - to bring down that demand. After all, here at IFAW we believe social change can be made in consumer behaviors especially when we know that those behaviors come at a cost to our natural environment and its heritage. Humans raise and kill animals for food and other purposes. We get that. But when it comes to wildlife, which serves a crucial role in our planet's ecological systems, the consumption and trade of our majestic creatures often leads to overexploitation, no matter how well-meaning you are to manage that consumption sustainably.